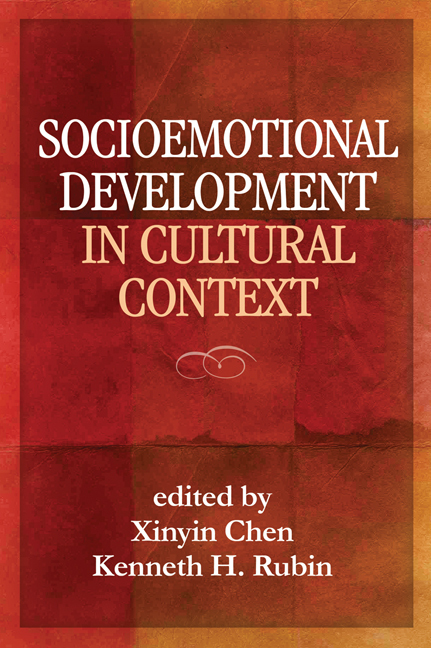 Filling a significant gap in the literature, this book examines the impact of culture on the social behaviors, emotions, and relationships of children around the world. It also explores cultural differences in what is seen as adaptive or maladaptive development. Eminent scholars discuss major theoretical perspectives on culture and development and present cutting-edge research findings. The volume addresses key aspects of socioemotional functioning, including emotional expressivity, parent–child and peer relationships, autonomy, self-regulation, intergroup attitudes, and aggression. Implications for culturally informed intervention and prevention are highlighted.